Well here we are, 2017 and the healthy eating adverts are slapping us right in our chubby Christmas faces. I’m no fan of faddy diets or even diets in general, but even I have to admit that by the time January rolls around I’m ready for a bit of goodness on my plate. 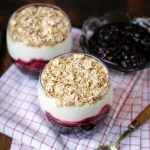 That’s where these blueberry and ginger breakfast parfaits comes into play, they really are the perfect way to start the day. I find one of the easiest places to squeeze in a little extra fruit is breakfast time. 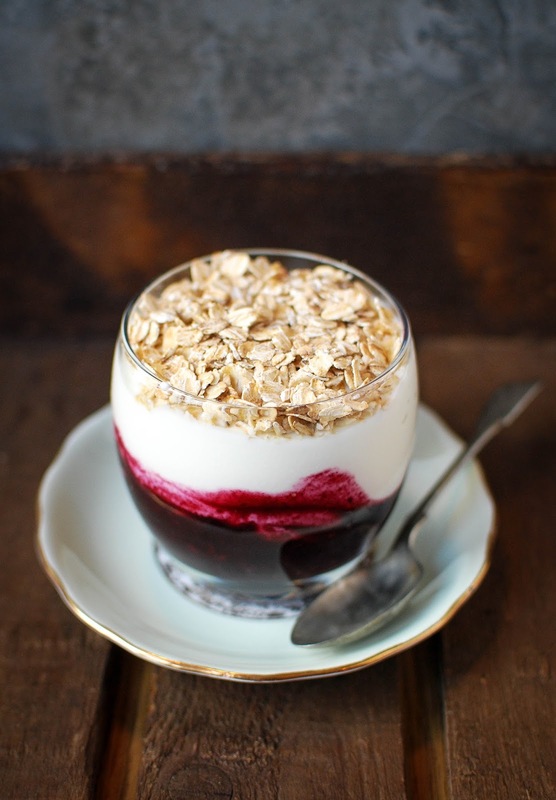 These breakfast parfaits are the perfect way to scrounge up one of your five a day without even realising. I like to make a big batch of the fruit compot and toasted oats and keep them aside so I can whip these up all week with little to no effort at all. I’ve used blueberries and blackberries here but you can use whatever you have to hand, if you’re using harder fruits like apples and pears make sure to cook them for a little longer. And remember guys, frozen fruit is the friend of the forgetful shopper! 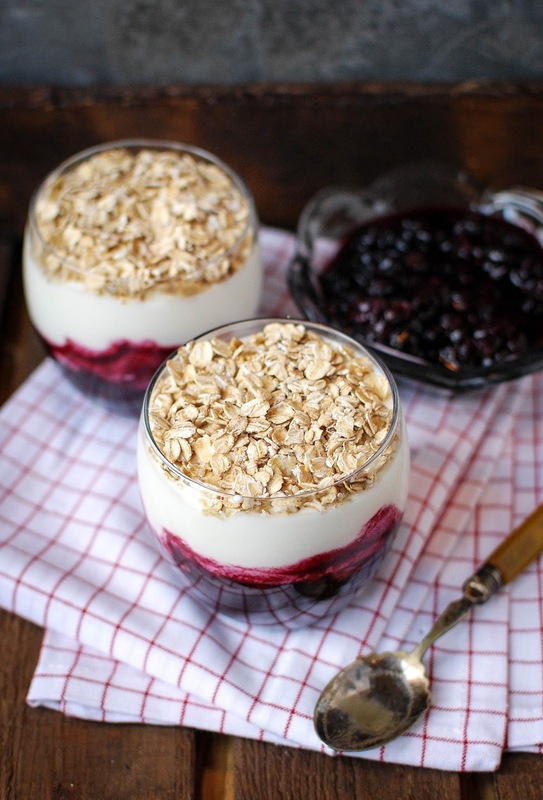 These blueberry and ginger breakfast parfaits really are the perfect way to start the day. For the compot put the blueberries, blackberries, ground and fresh ginger, sugar and water in a small saucepan and bring to a gentle boil. Turn the heat down and simmer for 10 minutes till thick and jammy. Pour into a bowl and cool completely. While waiting for the compot to cool toast your oats. Mix the oats and ground ginger together then pour into a dry frying pan. Toast over a medium heat for 3-4 minutes, tossing occasionally so they don’t burn. Allow to cool. Once everything’s cool start making your parfait. Spoon a few tablespoons of the compot in the bottom of a small glass, top with 100g of the yogurt the sprinkle with oats. Keep any unused compot covered in the fridge for a few days and the oats in a sealed container. This looks and sounds delicious as well as being healthy!Will definitely be trying this out for breakfast!